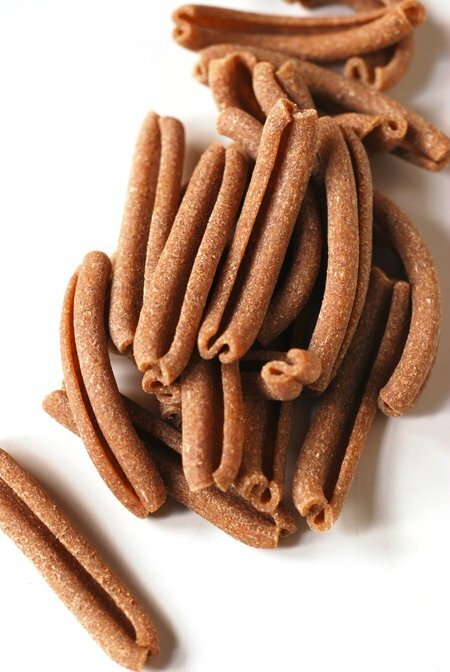 Abby from Eat the Right Stuff is hosting Presto Pasta Night and this week I've found another different type of pasta, one with a twist...Rye Twists. Made from Certified Organic Rye flour and water, this pasta appeal to those that enjoy pumpernickel. They have quite a robust texture and flavour so I've decided to use them in a baked pasta dish. After tossing them through a simple tomato based vegetable sauce they are topped in a rich bechamel and baked until golden. This is one dish in which a little will certainly go a long way. Heat oil and a knob of butter in a saucepan over a medium heat and when the butter has melted add the onion and garlic. Sauté until starting to soften but not colour - add in the carrot and zucchini and continue to gently cook until golden. Add in the tomatoes and just enough water to cover the vegetables - simmer for about 30 minutes until the sauce has reduced and the colour has depened. Taste and season with salt and pepper. Reserve a large spoonful of the sauce. 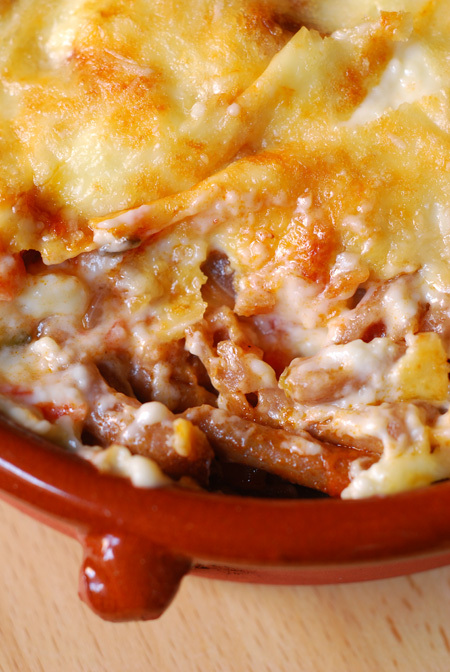 Toss the cooked pasta through the remaining sauce and tip out into a baking dish. Add the reserved sauce evenly over the top. 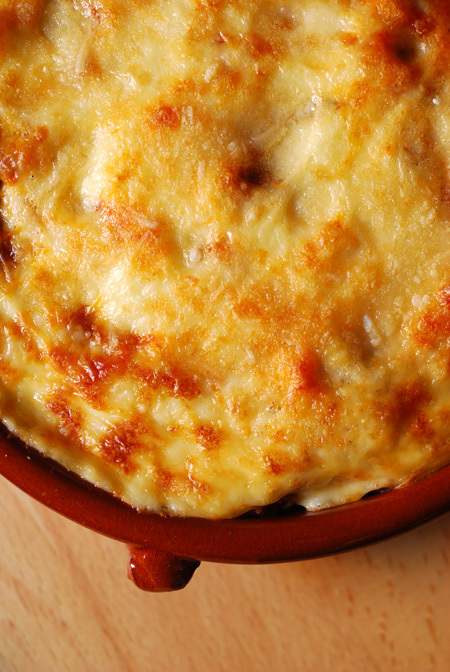 Cover with béchamel and sprinkle over with grated parmesan. Bake in a preheated 180°C oven until golden. Serve with a simple leaf salad. I'm certainly gonna try this! You always find the coolest pasta! The rye twists look lovely as does the finished cheesy twists. Wow I've never tried rye pasta before. I wonder where I can find this. Hope you enjoy it Lesley! Thanks Elizabeth - not sure if the rye flour is going into pasta as these are the only rye based pasta I've ever seen. Thanks Jude - this is the link for the maker of this pasta but they are australian.